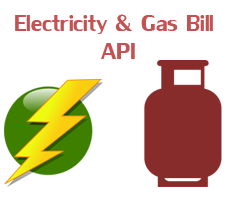 One of our versatile APIs are the electricity and gas bill APIs as they can connect with a wide array of service providers all across the country. Forget about the days when you had to stand in long queues to get your bills done, as now you can do your bills at home with the help of our API. The clean interface lets you do your bills without confusion. We are adding more and more service to our APIs to integrate all the services provided in India. The relative ease of using our systems are evident if you have used them even once, this is made possible by constantly updating and redesigning the APIS to suite your needs.